Another week, another bag of potatoes to get through … this is the problem when you try not to waste food. If you don’t remember from last week’s post, my mum left me with a few bags of potatoes to get through before she went on holiday, and we are still trying to get through them. 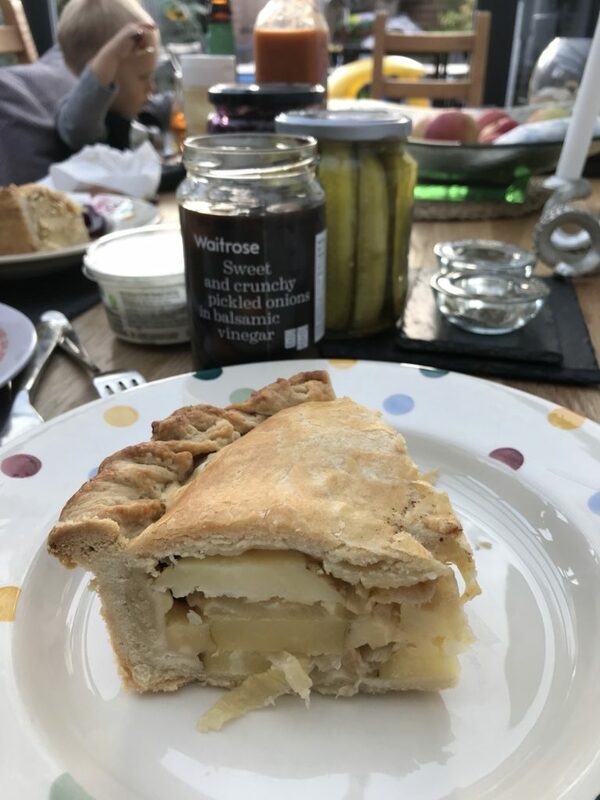 This is despite last week’s menu of cheese and potato pie, cottage pie, salmon with potatoes, and roast dinner with plenty of roast potatoes. 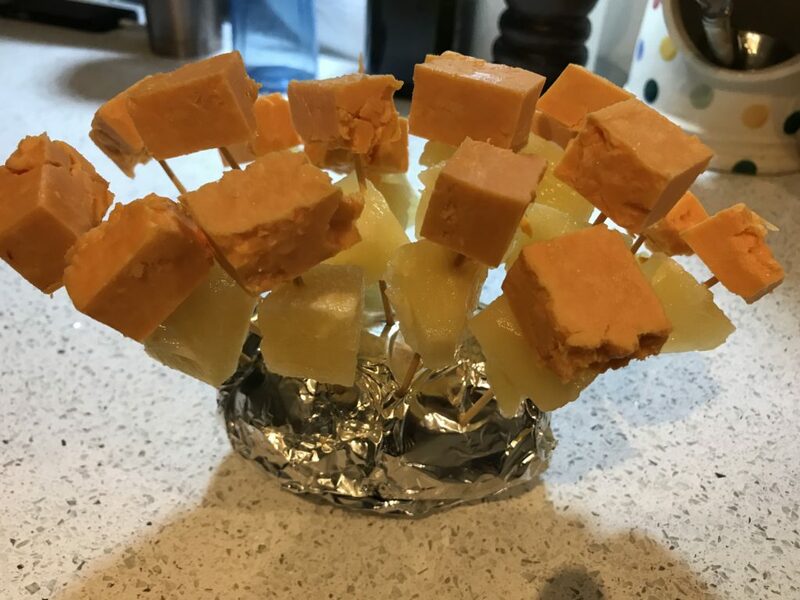 I also used a potato wrapped in foil to make that seventies party classic of cheese and pineapple on sticks – a treat for my French colleagues, who said they liked it but funnily enough the majority was still left behind when they went home! 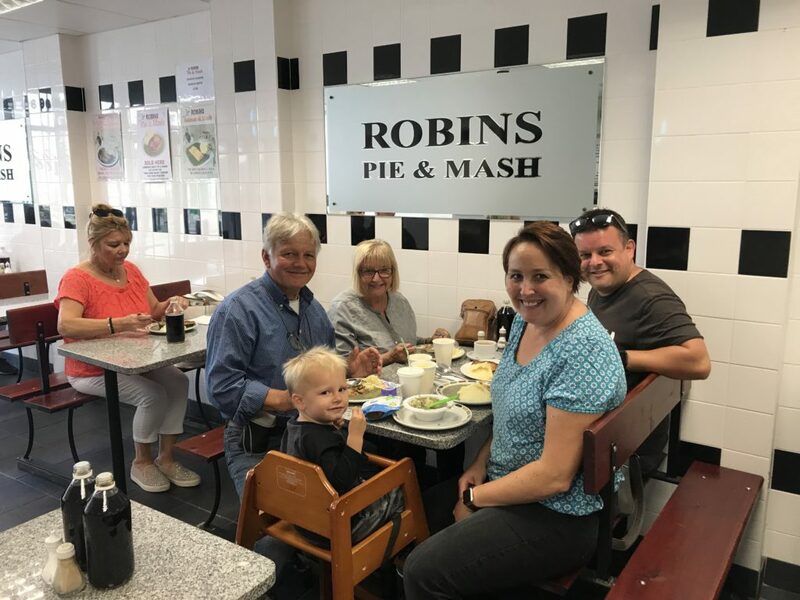 We even had potatoes at the weekend when we visited Southend on Sea for the day and came across a traditional pie and mash shop (Ioan only ate the mash in fact). 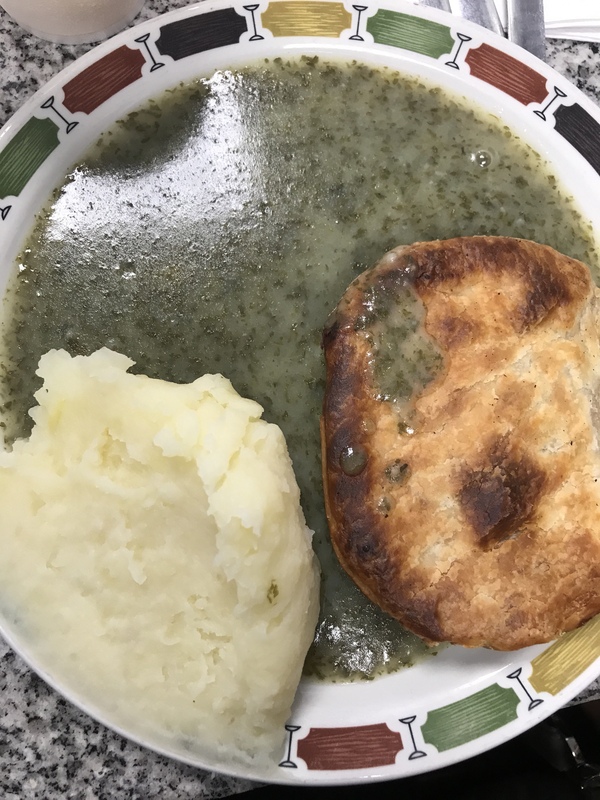 Oh I do love pie and mash. I am really quite fed up of potatoes, and not sure I can manage many more this week. Luckily we’re going to be out and about a fair bit so I might just have to leave them sprouting in the kitchen whilst we enjoy the odd takeaway and meal out. So only one meal planned this week, and that is a nice and simple pesto served with … POTATO gnocchi. Give me strength. If only someone could reassure me that potatoes are useful for something other than eating … maybe warding off the huge and evil spiders which are invading our house at the moment? In the absence of food related information, here’s a picture of Ioan enjoying the delights of Southend. 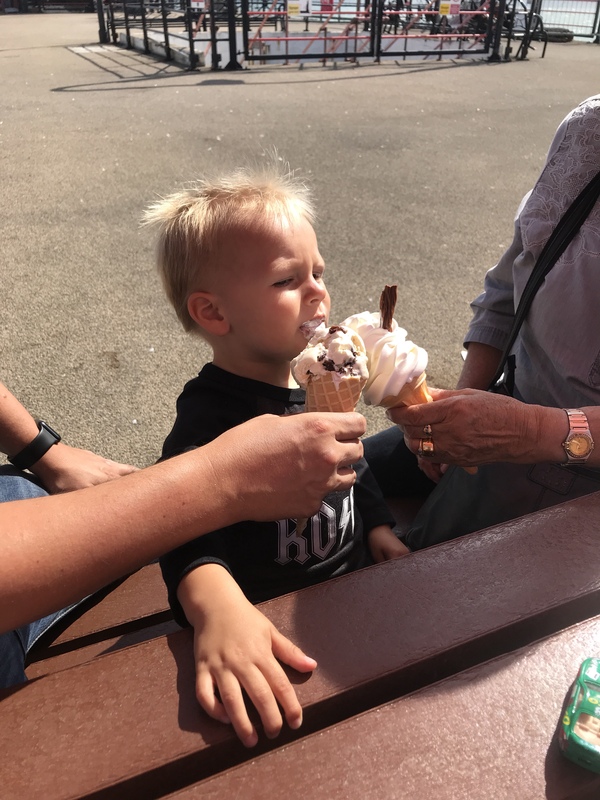 Why have one ice cream when you can have two?